The Maghreban - Islands. Vinyl EP. Bleep. 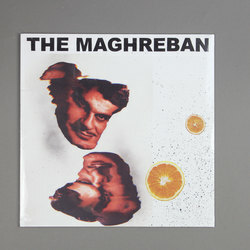 Zoot Records is almost certainly run by The Maghreban. This goes some way to describing the self-deprecating chatter around The Maghreban’s new Zoot EP Islands - a record that is described as ‘boring’ by its own press release. Of course, the tunes here are far from boring (things are never dull with The Maghreban around). ‘Effendi’ and ‘Switched On’ are the sort of curious and fidgety deep house numbers that we’ve come to expect from this artist; ‘Rocky And Bullwinkle’ is full of classic dub production quirks, and ‘Finagling’ is a weirdly charming track that combines busy drum tracking with guitars that sound like they’ve been jacked from an old Henry Mancini record.